In recent days, drop shippers around the world started reporting getting emails with the title “Your Top Rated Seller status will be removed: Selling practices policy”. The email mentioned that eBay has collected evidence that the items sold on the account are purchased from another online retailer or marketplace which is a violation of eBay’s selling practices. Will eBay close the door for the drop shipping community? We have decided to further investigate the phenomena, more on that below. The email that was sent by eBay. 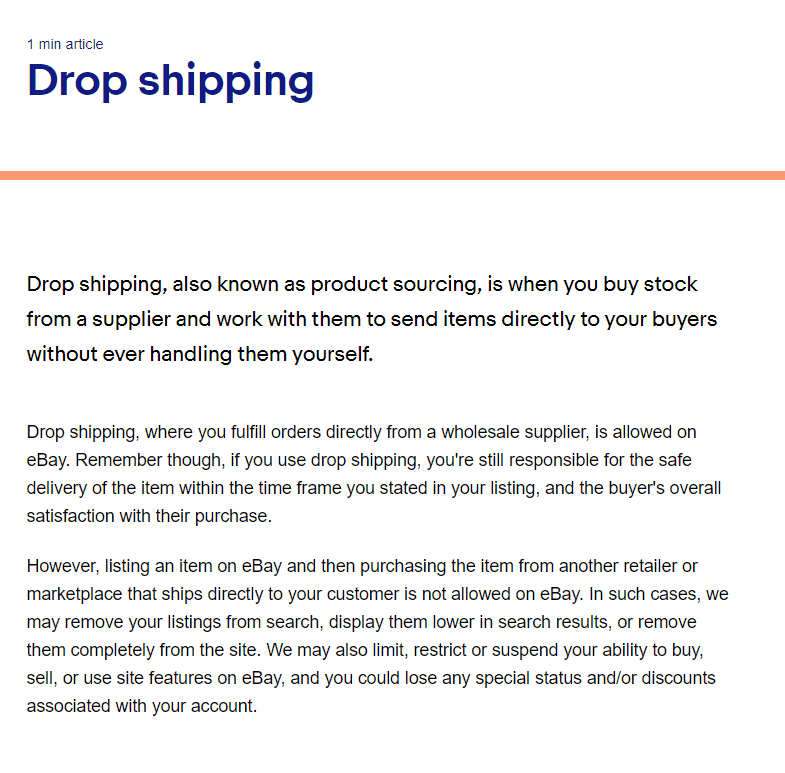 In order to further understand eBay’s Selling practices policies related to drop shipping, we reached the page about eBay drop shipping policy which refers more specifically to the practice of drop shipping on eBay and not how to sell on eBay in general. The policy states that listing products on eBay which are sourced from another retailer or marketplace is a violation of eBay’s terms of service and might lead to a variety of sanctions, from lower display in the search results, restrictions or even a suspension of your seller account. Let’s try to analyze the thoughts behind the decision of eBay to publish such message to the sellers’ community. On the one hand, drop shipping, no matter where it is sourced from, is great for eBay. It brings diversity to eBay’s product catalog with new products that otherwise eBay buyers would not be exposed to. It increases eBay’s gross profit directly due to the fact the items are sold at a premium price which eBay gets a fee from and it brings more sellers to list more items that pay more seller fees. On the other hand, and that is exactly the reason for eBay’s announcement, it is a risky game. When a drop shipping seller is not able to fulfill its order, he would tend to try to get away from the potential damage by asking the customer to cancel their orders. Moreover, drop shippers are looking for ways to get to the first place in eBay’s search results with their keywords using various methods which are against eBay’s policies and sometimes could even be counted as a fraud. Last, there is the buyer him/herself – which absurdly was not yet part of the discussion. Would you go back to an online store after purchasing something for yourself or someone close to you and the item would not be fulfilled at all, or a wrong (“similar”) item would be sent to you, or the item would not fit the description? Probably not, and that is the exactly what eBay is trying to prevent. We tend to forget that the buyer that purchases from us, is likely to purchase more from other sellers as well, and eBay as the middleman has to put the buyer’s needs always as the top priority. The customer, as you know, is always right. As an online entrepreneur myself, I have an important message to all of us: if we, the drop shipping community, thinks that we can manipulate eBay’s buyers with false actions in order or serve them with a bad user experience then we have nothing else to expect by such a move by eBay. But does that mean that drop shipping is dead? I don’t think so. 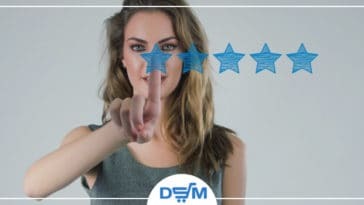 Let’s go back to eBay’s drop shipping policy page and consider the email they have been sending out to sellers about top-rated ranking removal. If eBay knows that those sellers are practicing drop shipping from other retailers, and it is a violation of their selling practices policies, why did they not suspend those accounts completely? Here comes the most important part about eBay’s policy – the word MAY. eBay may or may not suspend your account, may or may not rank you lower in the search results etc. To me, it seems like eBay is trying to send a message to the drop shipping community, and it is asking us to take care of the end buyer and put his needs in front of ours. Those of us who will help eBay improving the buyers’ experience may enjoy the benefit of being ranked high in one of the top-selling platforms in the world. Those who won’t stand in the requirements will probably suffer the consequences. Make sure you fulfill your orders in time – In your eBay business policies one of the parameters is called “handling days”, in short, it is the number of days from the moment you sold the item until you update the tracking information for it. Try to make sure you update the tracking information in time, even if you don’t fulfill 100% of your orders on time or some of the tracking info is not accepted by eBay (like AMZL as a carrier), what’s critical is to make sure enough of your orders are counted as fulfilled on time, and that tracking info is added even to those which don’t count. This is less about becoming a top-rated seller and more about actually keeping your buyers updated, on time. 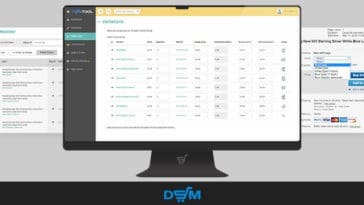 Go over your item’s descriptions – DSM Tool has both a Rapid Lister and a Bulk Lister, and what is important is to control its usage. In some cases, the lister will grab the information from the source website and some of it will be corrupted, sometimes it is the seller you drop ship from is the one to blame because he made the mistake of writing the wrong title or description and sometimes it is the website you’re sourcing from that might be causing the problem by presenting auto-generated irrelevant information. In either case, it is your responsibility as an eBay seller to make sure the description YOU provide is correct. I highly recommend to set up your eBay item description by source via the template settings. Can’t fulfill the order? Make sure the customer stays happy! It can happen that the item you sold is either priced differently or out of stock when you get to buy it. If the price difference is something you can take – take it, if it is out of stock, look for it somewhere else and fulfill it. Can’t fulfill it? try offering your customer compensation, it doesn’t have to be something big, even $2 or $5 will show your customer that you care about them. It might be counter-intuitive, why would you give up your income to keep the buyers happy? Think of your business for the long run, a short loss can be worth the while in the future as your business grows and is far better than getting your account suspended completely. Stop other eBay policy violations – it is out there, loud and clear, eBay wrote that drop shipping from a retailer is against their terms of service, but we all agree that you can still do it (even eBay themselves). The problem is when you start stacking more and more violations: using the default specifics features wrongfully is one example but we are getting constant requests for features such as “duplicate the same image 12 times with different names” or even worse – “change an existing item that was sold before and is currently under-performing with another, new item” (which one might say is a complete fraud and not only a violation of the terms of service). Each such action is an increase of risk to an eBay account and once again represents short-term thinking instead of a long-term perspective. 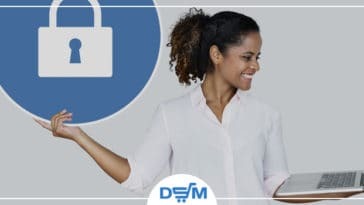 The year 2019 in DSM Tool is a lot about your buyer’s experience. the VeRO scanner may help you prevent VeRO strikes, the Auto Order may help you ensure order fulfillment on time, the new messages center layout can help you chat with your customers easily, providing them with a top-level service, new suppliers are being integrated on a weekly base and customized settings per source can be easily set up. our team is available 24/7, and the most requested feature of supporting item variations will be released very soon as well. We wish to set an example, the center of your business is your end buyers, the center of our business is you. What are your tips for enhancing the buyers’ experience on eBay? 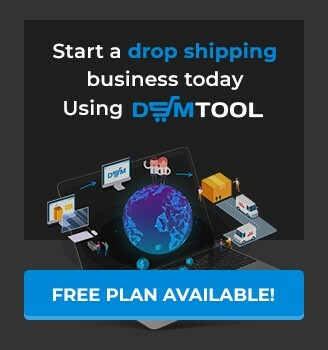 Share them in the comments below and help the drop shipping community thrive! Find value in our content? Get our news, tips and articles straight into your mailbox! 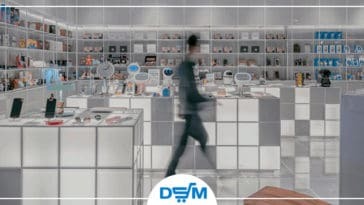 Kfir is a Co-Founder and the CEO of DSM Tool. 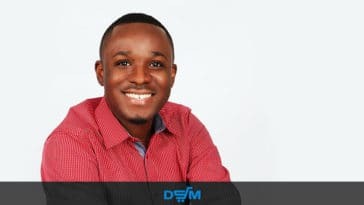 He is working with eBay since 2008 and 8 years later in 2016 joined the founding team of a revolutionary drop shipping management platform - DSM Tool. He has a B.A in Business and Entrepreneurship from IDC Herzeliya. Kfir also plays the drums and owns a dog named "Bamba". 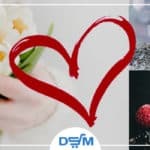 Previous article What To Sell On Valentine’s Day? 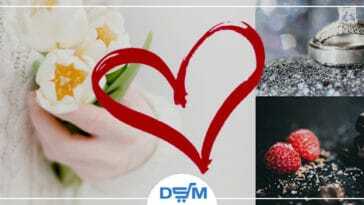 What To Sell On Valentine’s Day?